Are you taking advantage of new technology? Sometimes the fear of using new technology holds us back from its benefits. One such example could be the new “Square”. 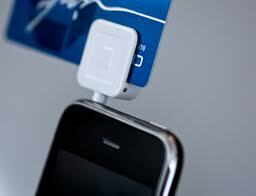 Square, Inc allows you to accept credit card payments electronically using a mobile smart phone. Can you imagine your driver showing up at a job site and being able to securely accept credit card payments on the spot? Gives a whole new meaning to COD. The idea of cash being exchanged at a jobsite has long ago been discounted as a reliable means for COD payments. And crossing your fingers and hoping a large check clears the bank can be ineffective. Now with one swipe you are able to count on a quick deposit. It is interesting to note that the idea for the Square was inspired by the inability to complete a $2000.00 sale and delivery of faucets and fittings because a business did not accept credit cards. Square charges a fee of 2.75% of each transaction. This rate is higher than the average rate charged for conventional credit card processors. There are no monthly fees or set-up costs. There is also a flat rate plan that may be considered. A rate of $275.00 per month can be charged in lieu of the percentage rate and includes all transactions. There are minimum and maximum annual sales requirements to be considered with that option. Once the sale is complete a receipt can be emailed to your customer, promoting a paperless society. A few months ago I purchased a Mac Book Pro from an Apple store in Jacksonville. In lieu of having to wait in line at a register, the sales tech that assisted me with my purchase, was able to swipe my card right in the middle of the store. The receipt was emailed to me immediately, which I was able to view on my iPhone. It was very efficient. For more information on the “Square” visit their website. Share your thoughts/concerns in the comment section below!